We left at 6 and enjoyed some game viewing and birding before exiting at 7:15. A ranger stopped to tell us that there were black rhino near the gate. But they had disappeared by the time we got there. Still good to know that they are around. 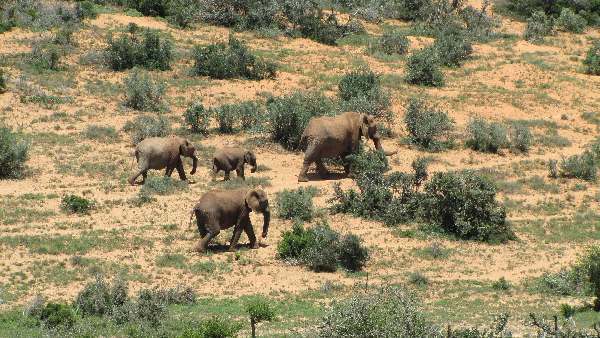 We arrived at Addo Rest Camp at quarter to 10 – too early for checking into the bungalow so we unhitched the trailer, had a health breakfast at the restaurant and went for a drive. First animal seen – elephant! 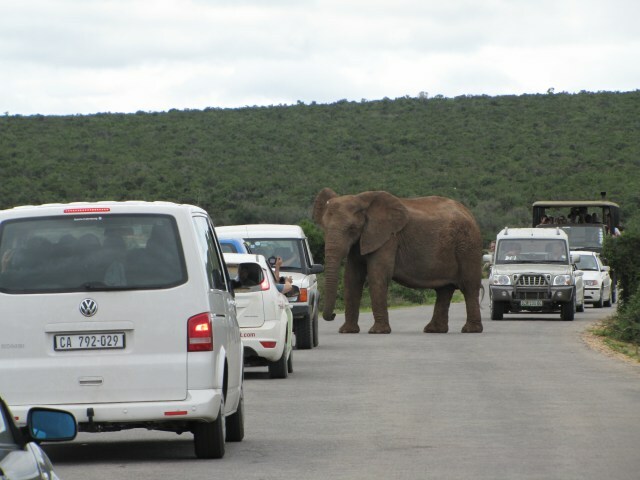 This after people we met in Kokstad told us they’d been to Addo several times and had never seen elephants. 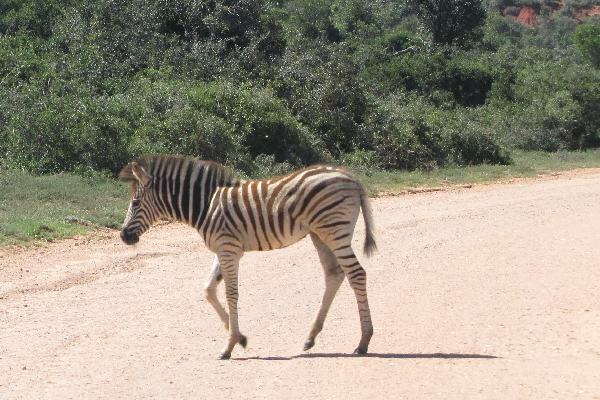 We, on the other hand, have always seen hundreds and we have been coming to Addo since the year 2000. 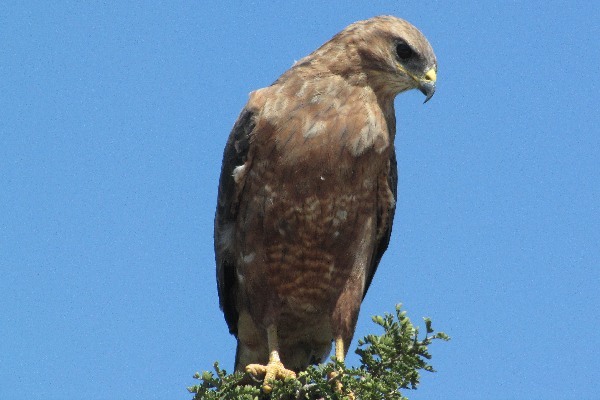 This time of the year is clearly good for game viewing. The park was green and there was plenty of water around. The only disappointing water hole was Marion Barree. But back to day 1. 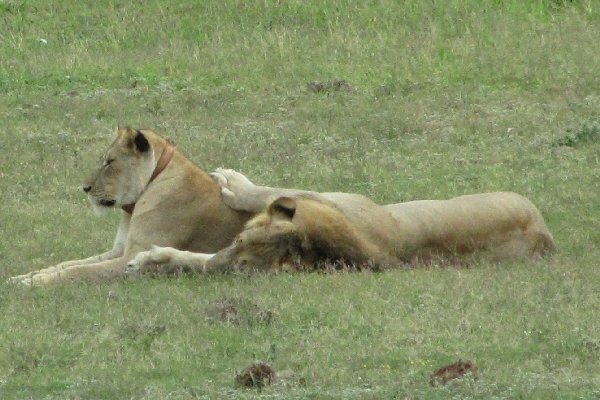 We made our way to Carol’s rest where lion had been seen. En route saw lots of kudu and red hartebeest, a jackal and eland at a distance but lots of them – never seen so many before. A family were out of their car trying to get a better look at the game. We drew up next to them and I asked, “Are you South Africans?” They were but had no idea that they weren’t allowed out of their vehicle. Never mind the symbols at the gate! Earliebird told them that lion had been sighted round the corner. They were back in the vehicle quick smart. Homo Ignoramus! There were no lion at Carol’s Rest but there was a buffalo drinking. 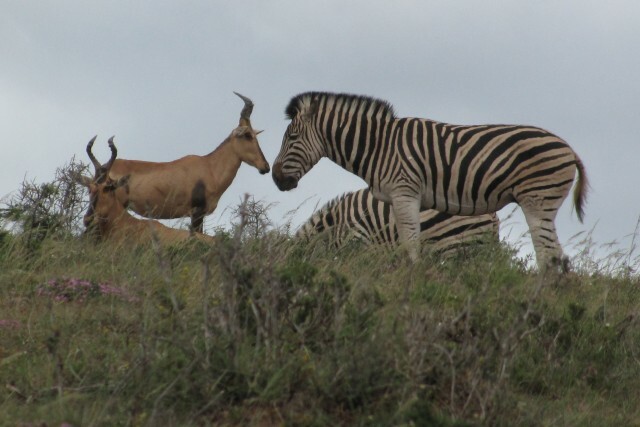 We moved on and headed back toward camp enjoying sightings of elephant, eland, buffalo, red hartebeest and zebra. 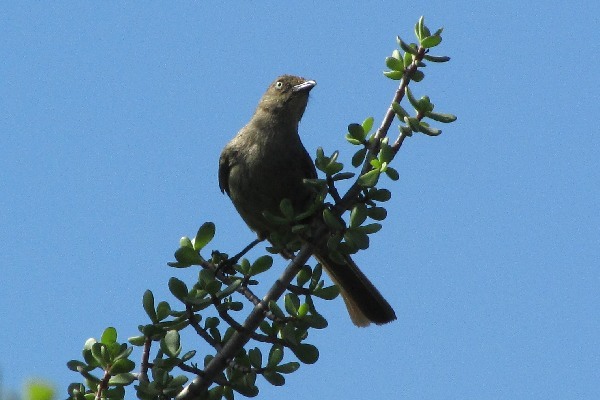 The birds we found were common fiscal, mousebirds – red-faced and speckled and red-capped larks. 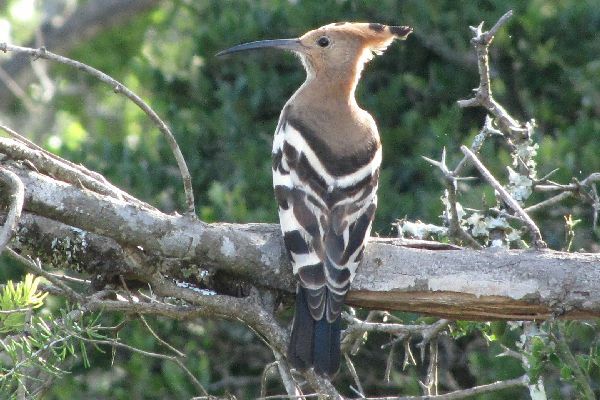 The birdlife this trip was not as prolific as usual – very few bokmakieries of which there are usually scores. We decided not to braai and I cooked a chicken casserole for dinner which we enjoyed outdoors looking over the valley and watched kudu, buffalo and elephant make their way to the waterhole for an evening drink. Earliebird had a strong feeling that the lions would be at Carol’s Rest this morning so we set off early and were the first out the gate. It was 22⁰C and climbing. We drove slowly and enjoyed sightings of kudu – males had lovely big antlers, eland and red hartebeest. 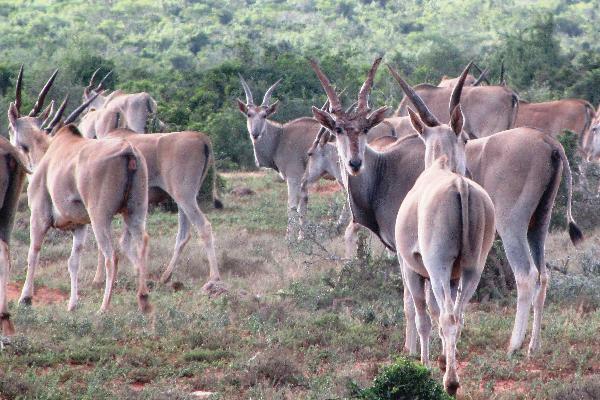 The large herds of eland had many babies amongst them so the herd is certainly going to grow even more. 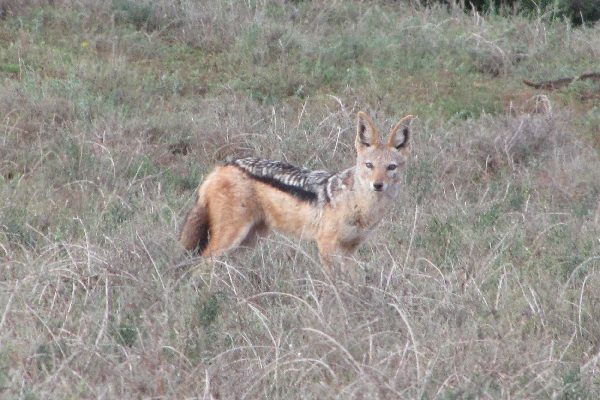 A jackal trotted along on a mission and a pale chanting goshawk in a tree caught our attention. Our Caravelle and a Kombi arrived almost simultaneously at Carol’s Rest and we were the only cars for about 10 minutes. 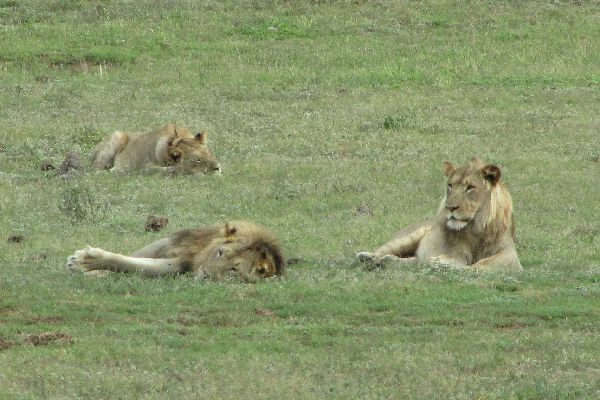 We saw the two big buffalo bulls straight away and for a minute I thought that was it when the three lions exploded on my senses – two young males and a female. There was no cover for any of the animals and they were staring at each other. We could hear a jackal howling and eventually saw him with our binoculars. 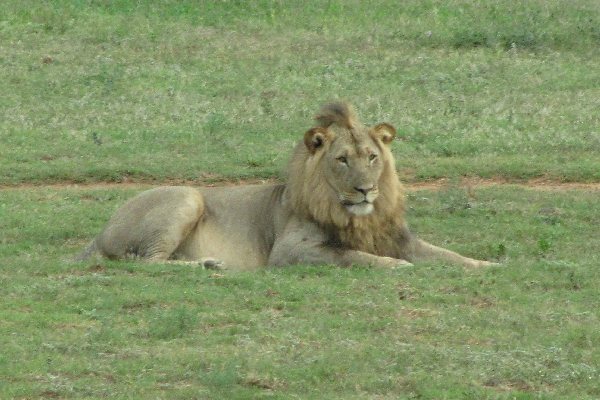 He was clearly upset that the three lions were so near the waterhole or was begging them to attack so he could help partake in the meal. But there was no way these predators were going to get into those two huge ungulates. There was no doubt who had the upper hand – or hoof. 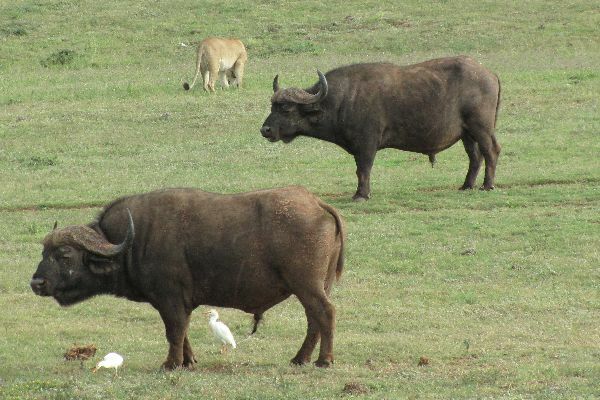 The buffalo grazed peacefully until the lions came to close then charged and had them scampering away. We watched the cats try a few half-hearted attempts before settling down to play with each other and finally snooze. More cars began to arrive and as it was a wide-open area there was plenty of place to park and everyone had a good view. Suddenly I noticed the passenger in the car parked in front of us trying to catch my attention. It our daughter’s friend, Michele, visiting the park with her husband and kids. 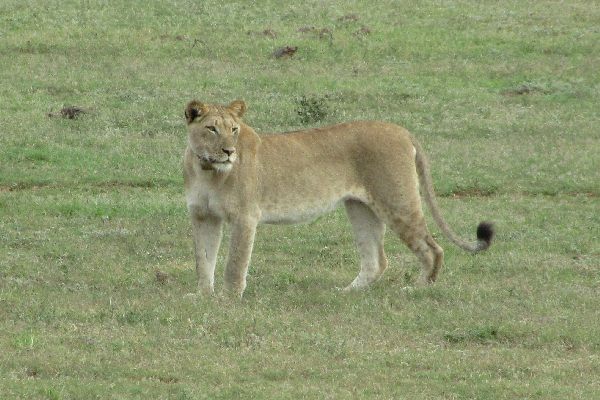 Lisa had told her to look out for us and it was great that we could tell her we’d found each other at the lion sighting. Cars kept arriving and stopping to look at the lions but one came along, obviously saw the buffalo and thought to himself – oh they’re all looking at the buffalo and drove straight by! He did not bother to scan the area properly and missed what was probably on the top of his wish list. I can just hear him telling his mates – “It’s a waste of time going to game reserves – you don’t see anything.” Well – you don’t see anything if you don’t take the time to look. 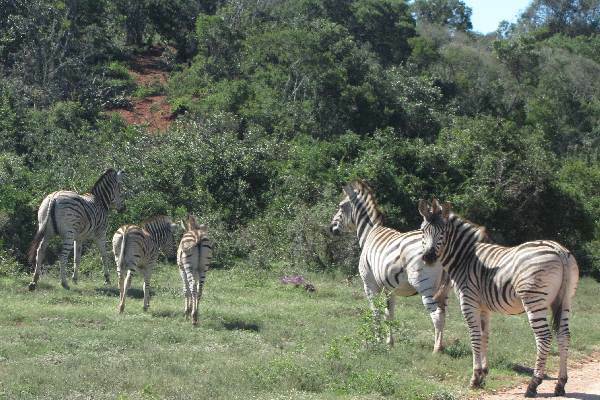 We spent over an hour with the magnificent cats and during that time zebra came to drink and two more jackal appeared. 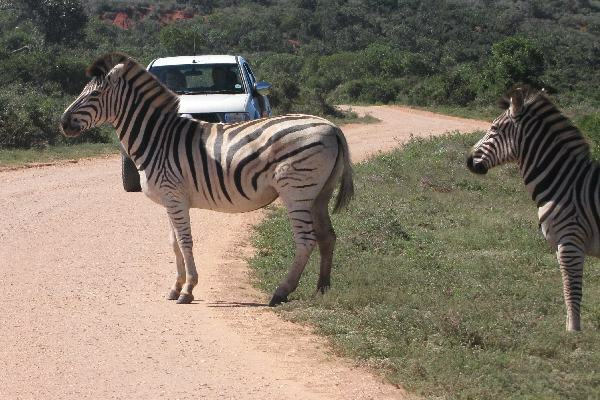 We then moved on to see what else Addo had to show us. 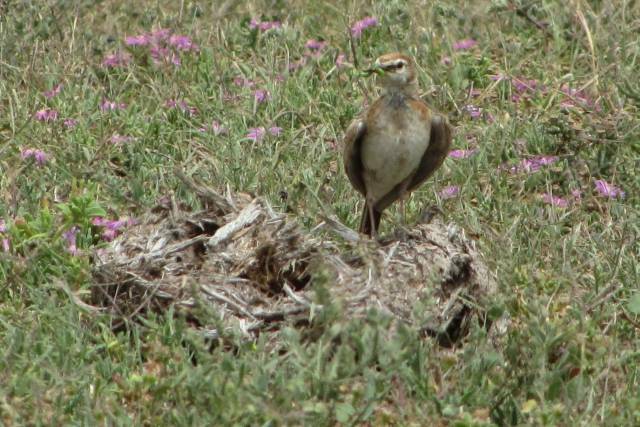 My list went something like this – red-capped lark, African pipit, drongo, hoopoe (one who posed beautifully), warthog, jackal, elephants, jackal, tortoise, elephants, tortoise, warthog, bokmakierie, eland, elephant, tortoise. 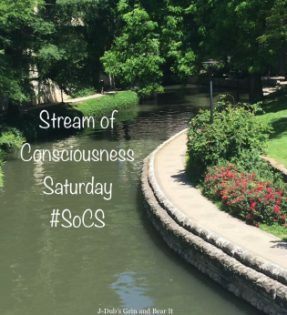 The temperature had climbed to 38 by the time we got back for brunch and we relaxed for a few hours before venturing out again at 4 o’clock. 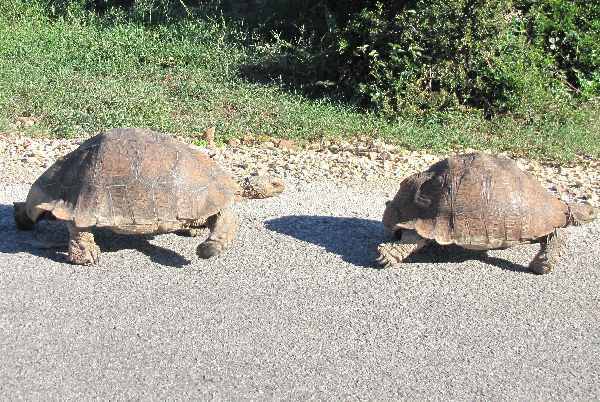 We enjoyed seeing the usual suspects but were amazed at all the tortoises that kept making an appearance – our total for the day was at least 12, so we called today The Day of the Tortoise. Our highlight of the afternoon was spending time at a little waterhole that we could just see through a gap in the bush. 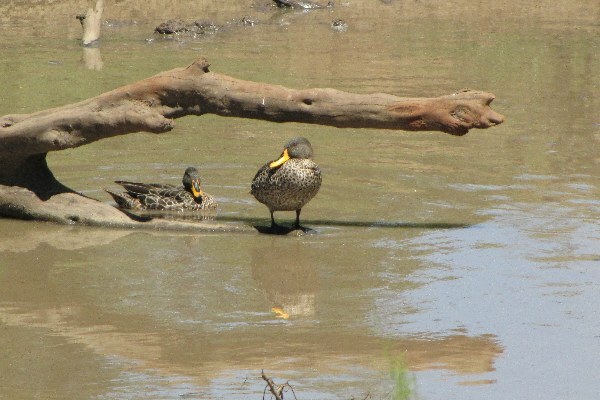 Earliebird spotted two yellow-billed ducks under a dead log which made a very pretty picture. 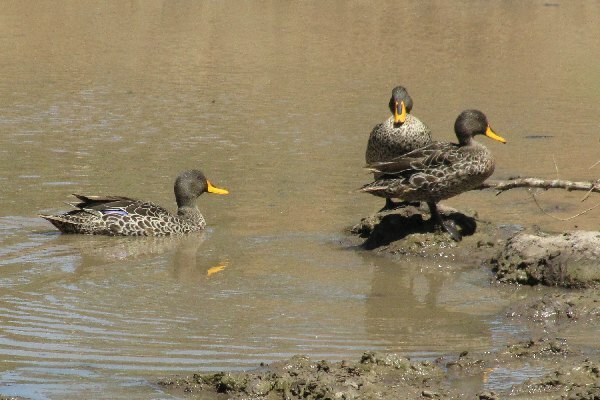 Another then swam by behind them then they swam to join it further along. 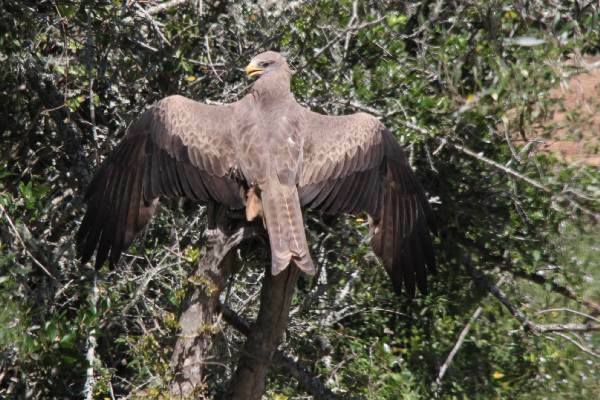 We were just enjoying the tranquil scene when a yellow-billed kite landed in a tree right in front of us and entertained us by preening and spreading his wings and providing us with wonderful Kodak moments. 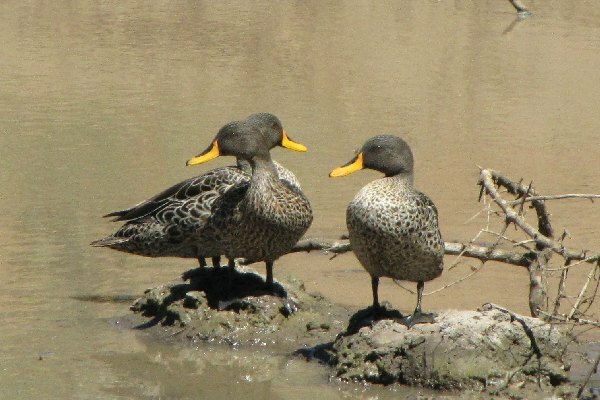 Several cars stopped to find out what we were so engrossed in but when we told them we were looking at ducks and kites they moved straight on. Oh dear, we birders are a funny lot! After an hour of this, we went to Jack’s Picnic site for a loo break and were very impressed with this facility. 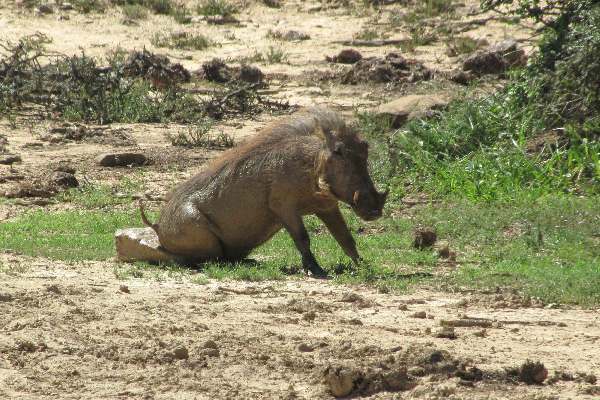 Just before entering we stopped at a mud puddle and laughed at an itchy warthog He’d found a very entertaining way of relieving his itches on a strategically placed rock. We braaied the last of our chops and enjoyed them with baked potatoes and salad while we once again watched the wildlife take their evening stroll down to the waterhole. This morning, our last, we packed everything ready to go and then headed out for a drive before breakfast. 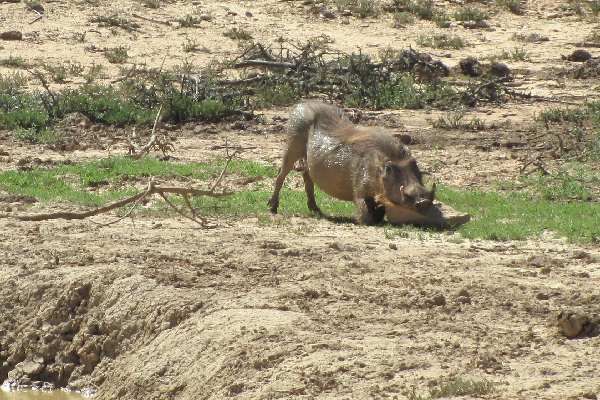 We were enjoying observing all the Addo game when someone stopped to tell us that there were hyena at Domkrag Dam. We did not rush but were luck enough to get there before they disappeared. 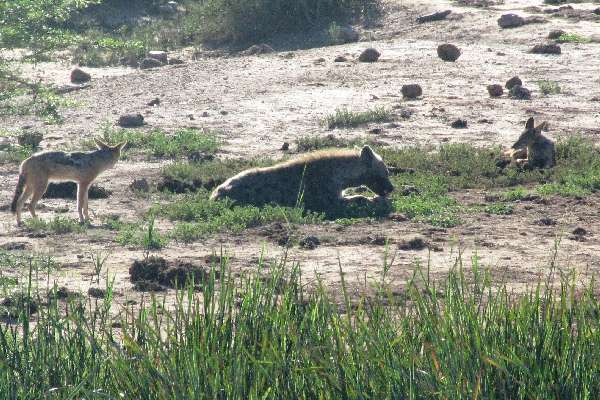 Photography was not easy from the lookout point but we got nice views of the remaining hyena with our binoculars. Finally, it was time to leave. We returned to our bungalow, hitched up the trailer and then went to the restaurant for a health breakfast – highly recommended – muesli, fruit and yogurt in a glass. Michelle and her family saw us as they were heading for the waterhole and told us that they’d seen a black rhino at the campsite fence the night before. The sombre greenbul finally “came out to fight” – you hear this bird constantly calling – Willie come out and fight – but you seldom see him! I guess he is too scared. 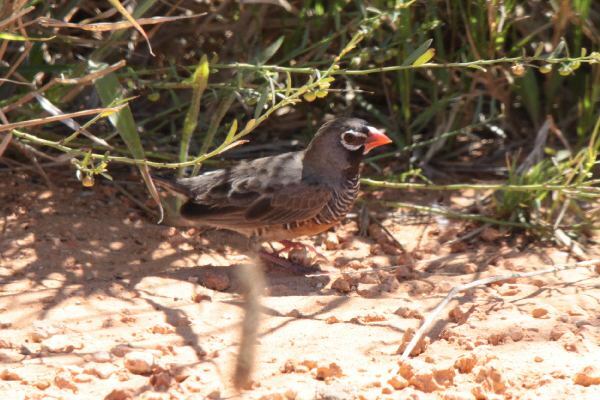 Finally we found the highlight of our trip – the tiniest little quail-finch. What fascinating birds. 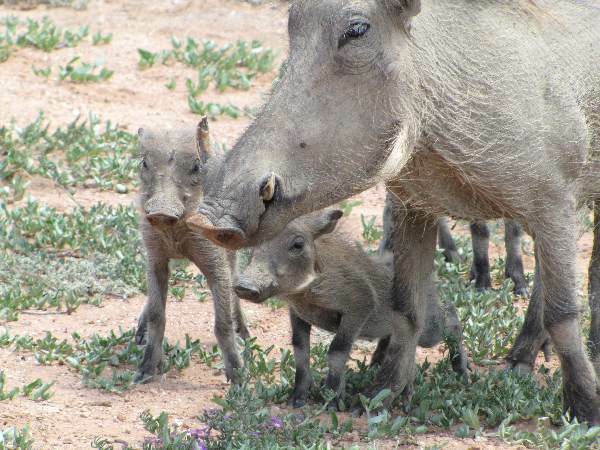 You never know what a game reserve is going to offer you – it is different every time. 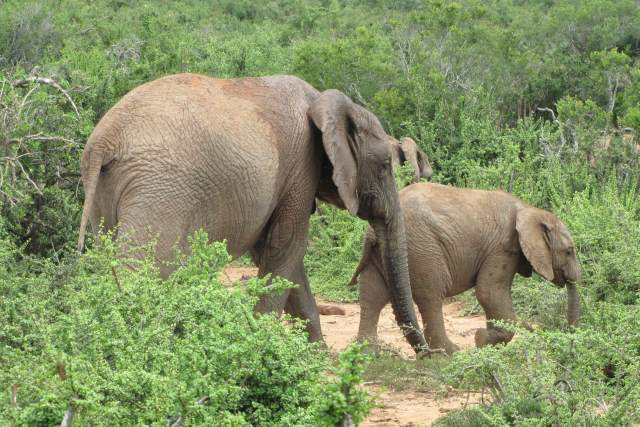 This was not our most exciting visit to Addo but it was certainly still most enjoyable and who knows what she will have to offer next time.